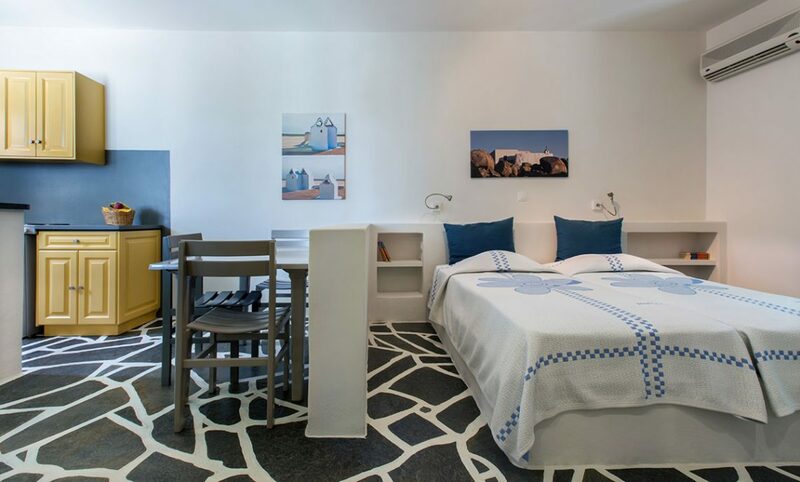 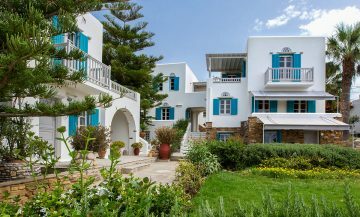 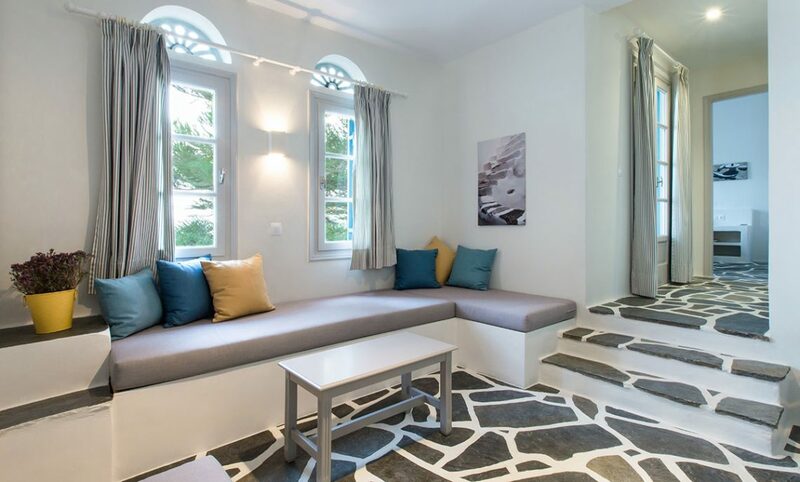 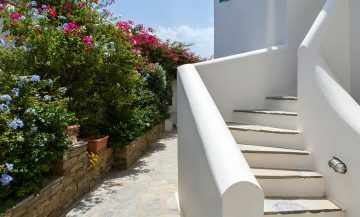 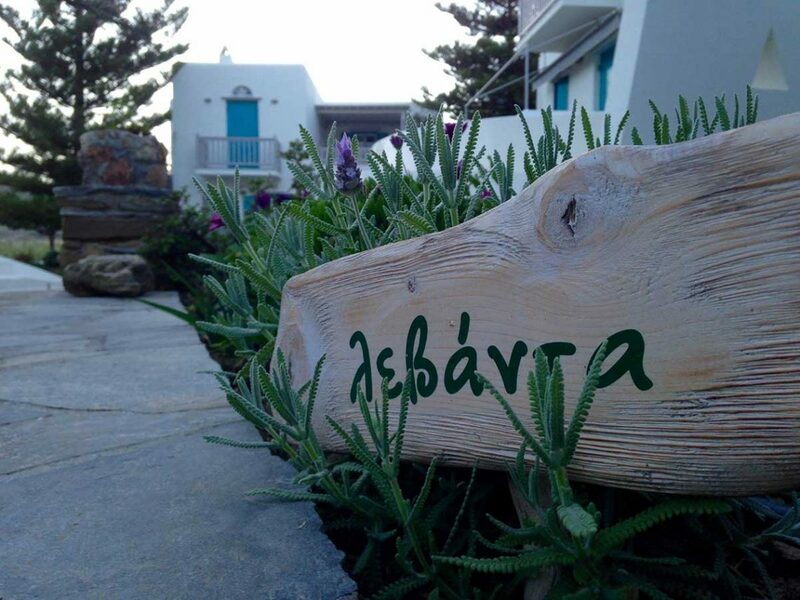 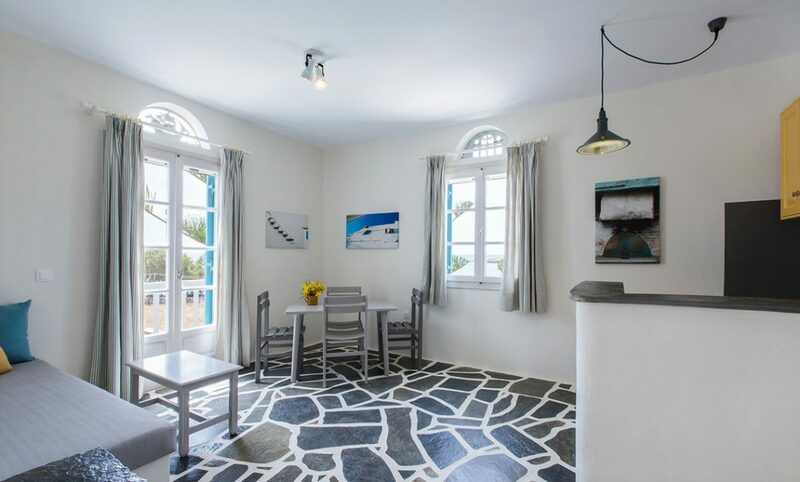 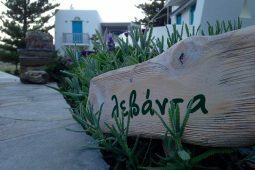 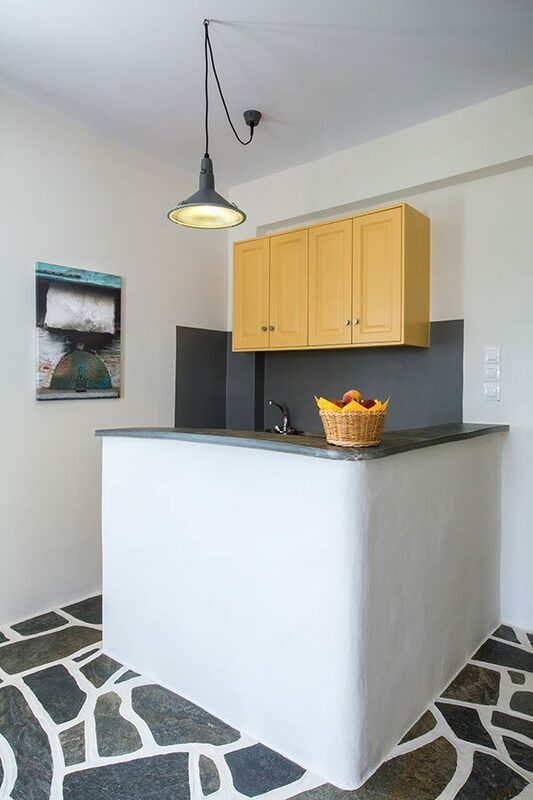 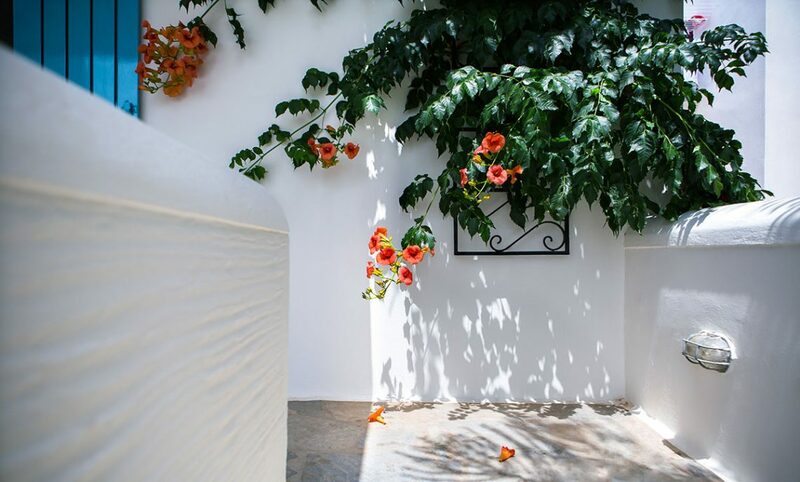 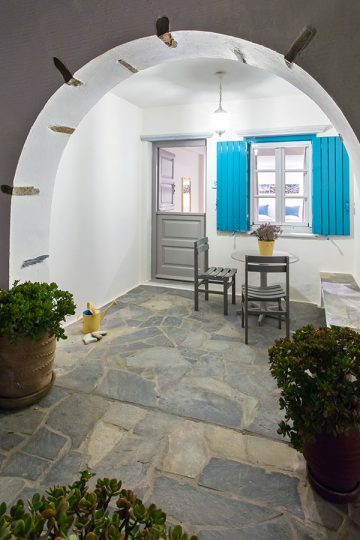 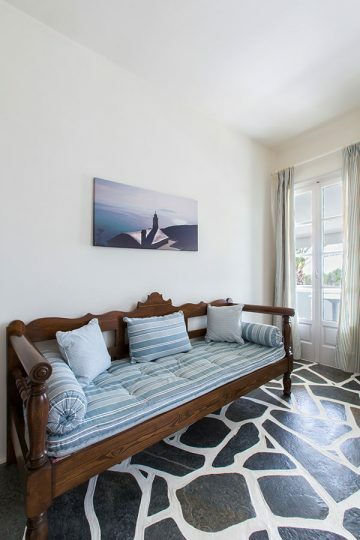 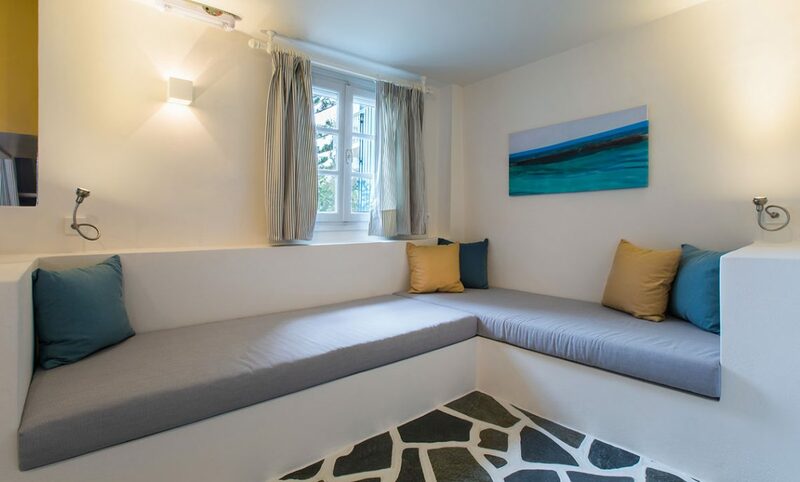 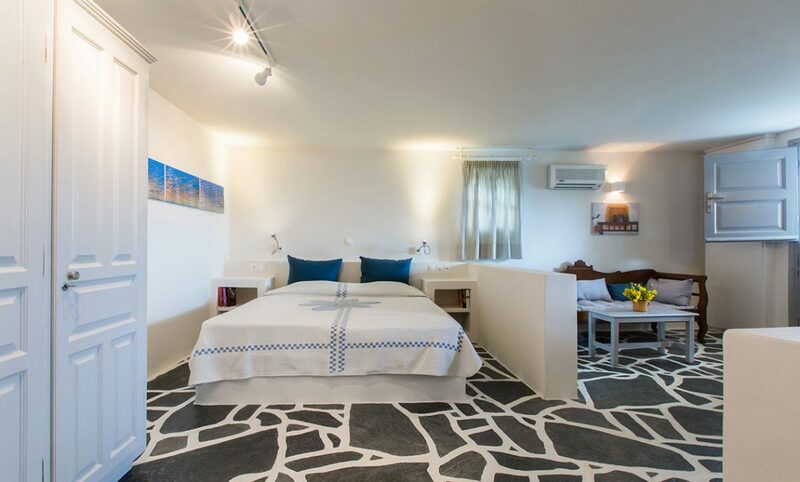 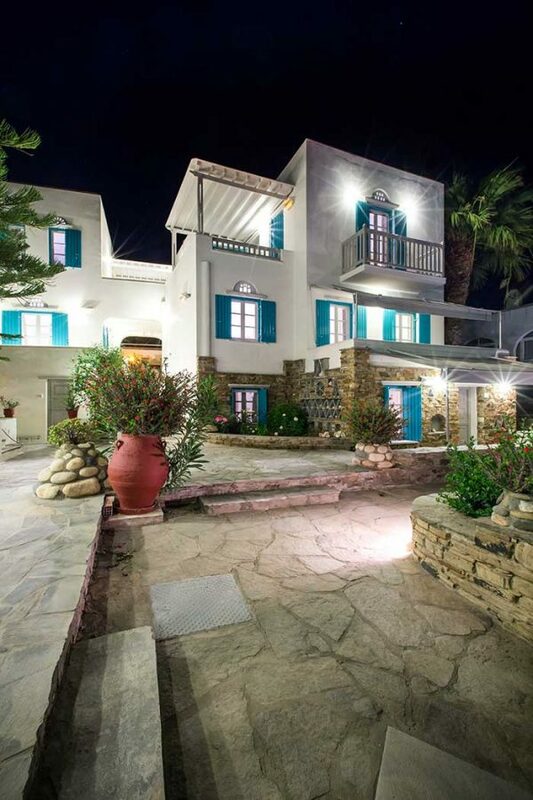 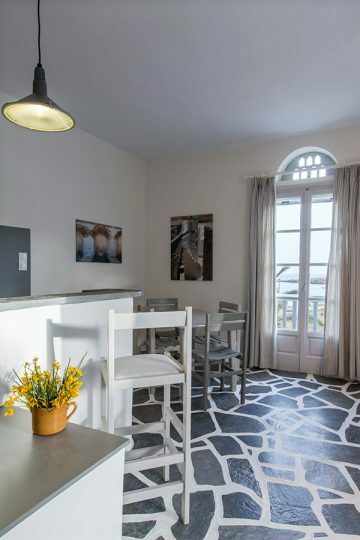 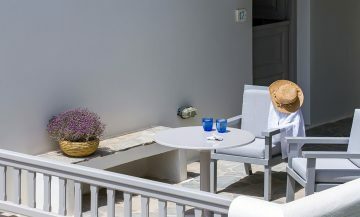 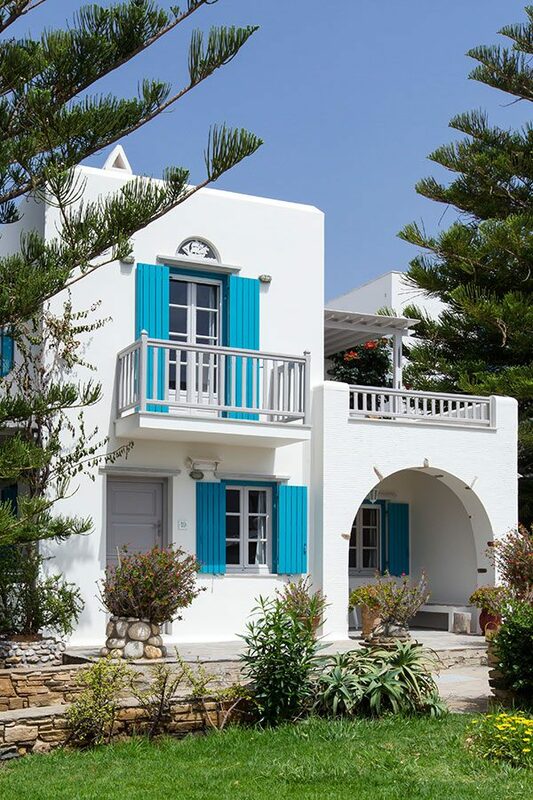 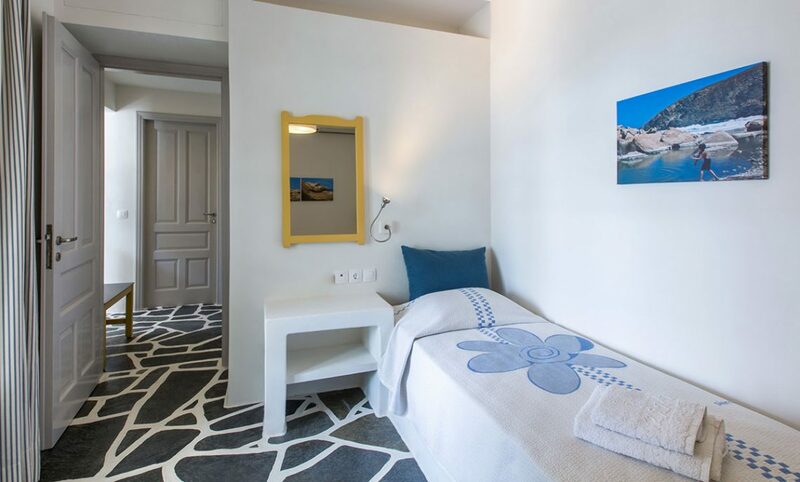 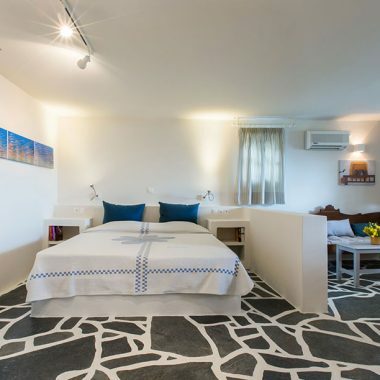 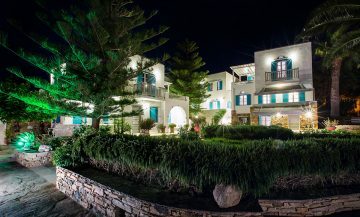 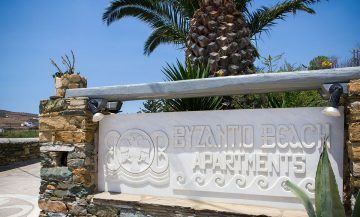 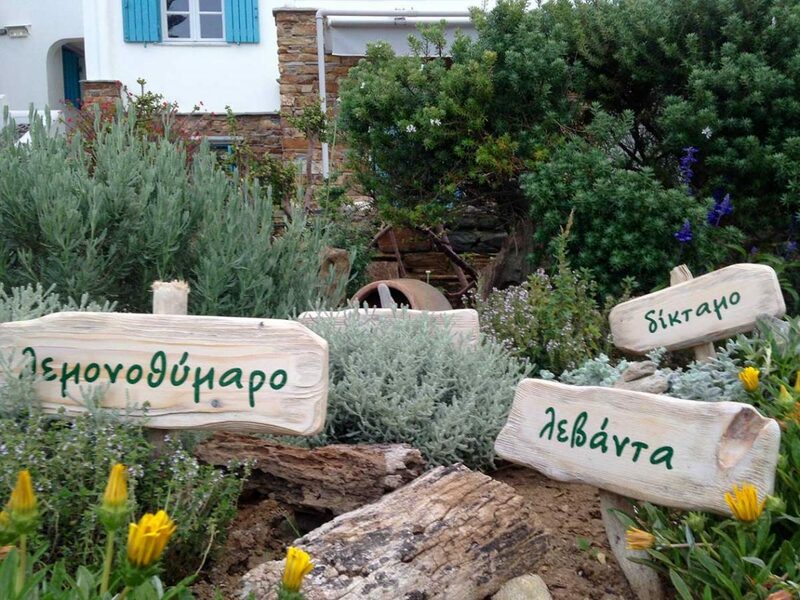 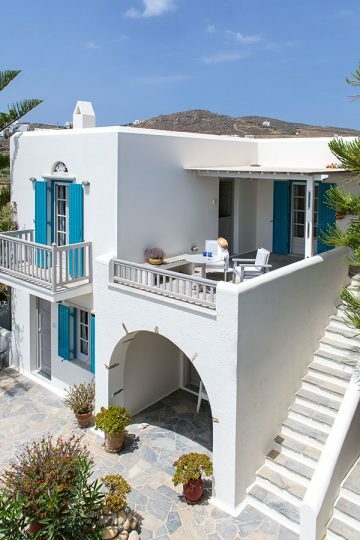 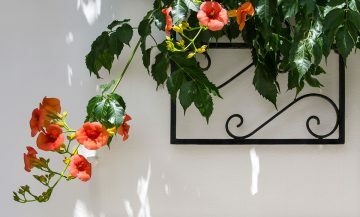 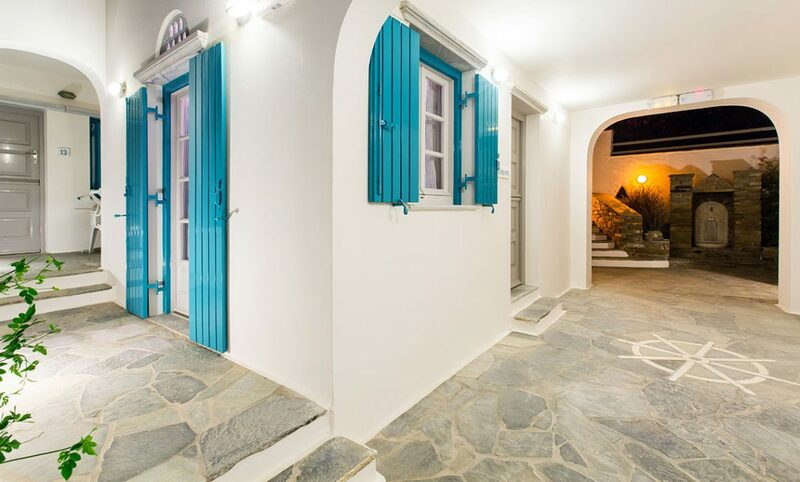 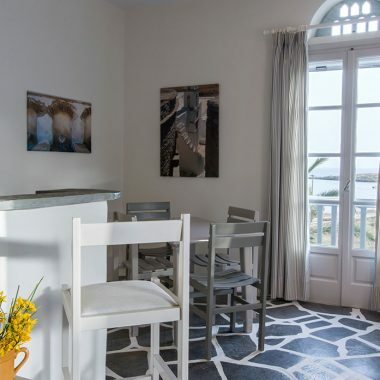 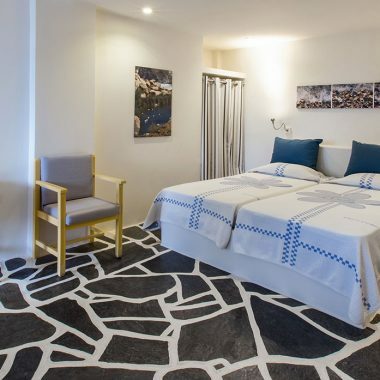 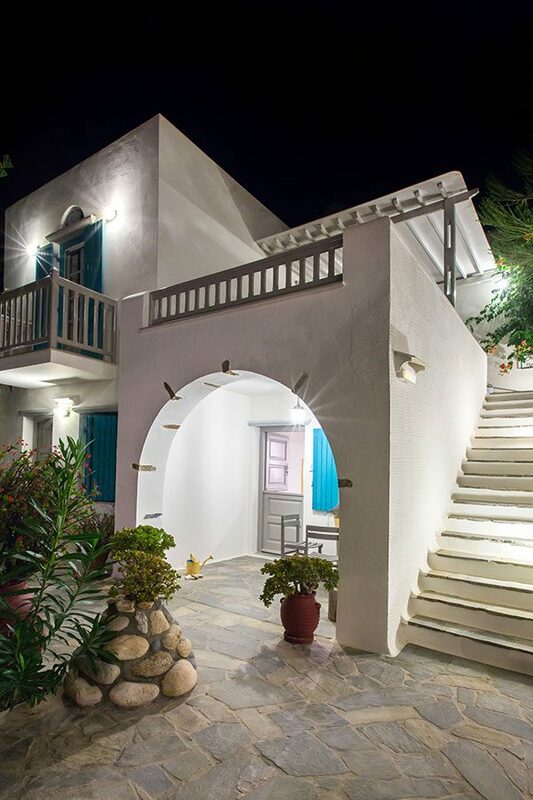 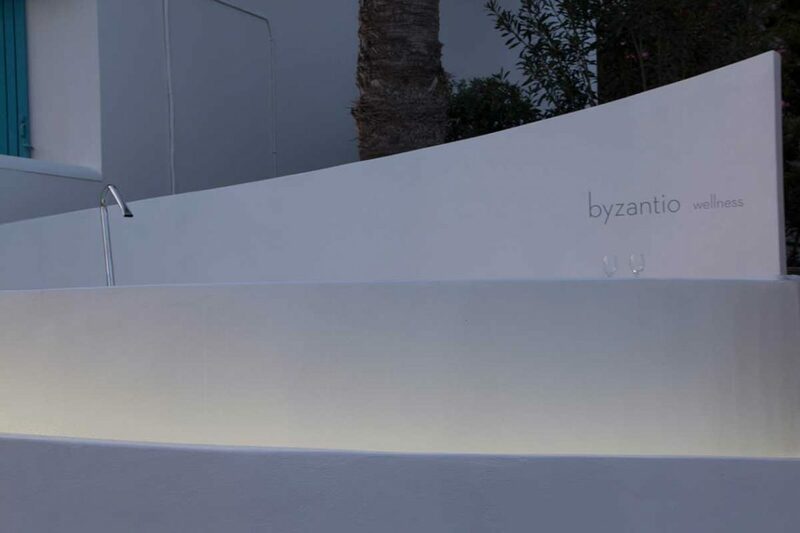 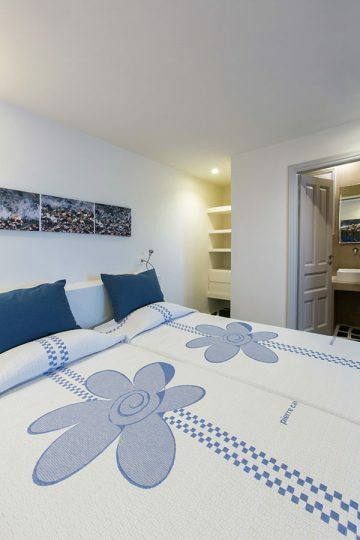 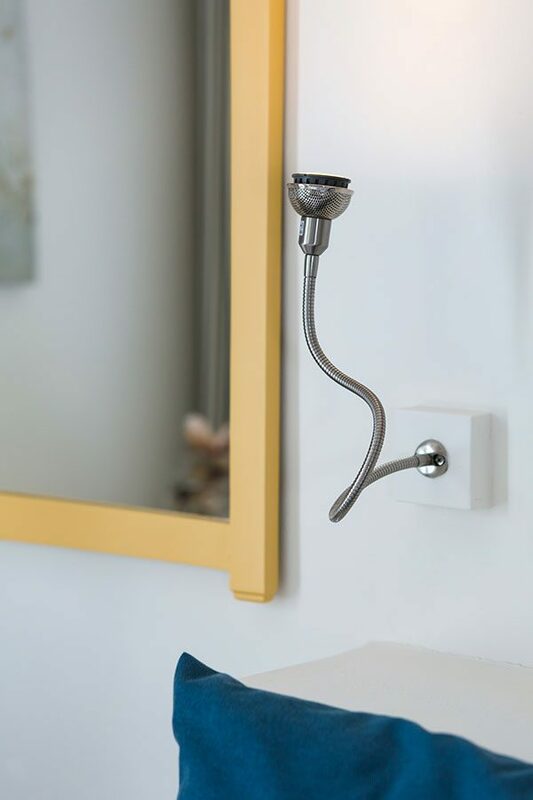 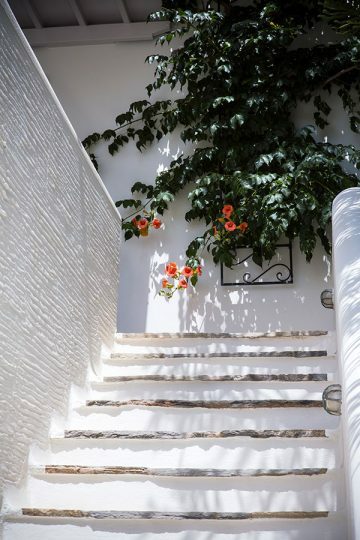 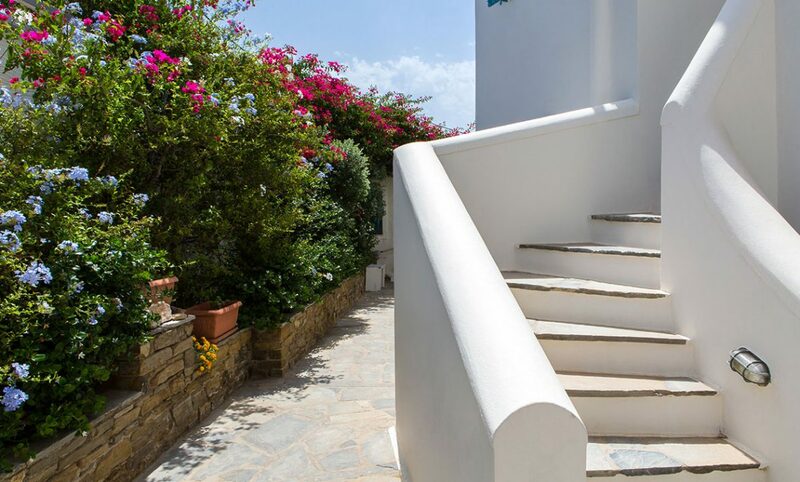 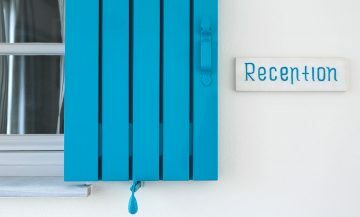 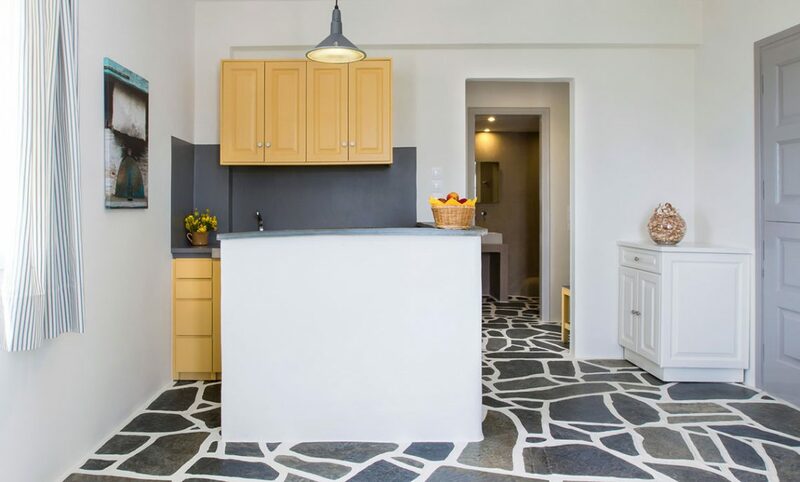 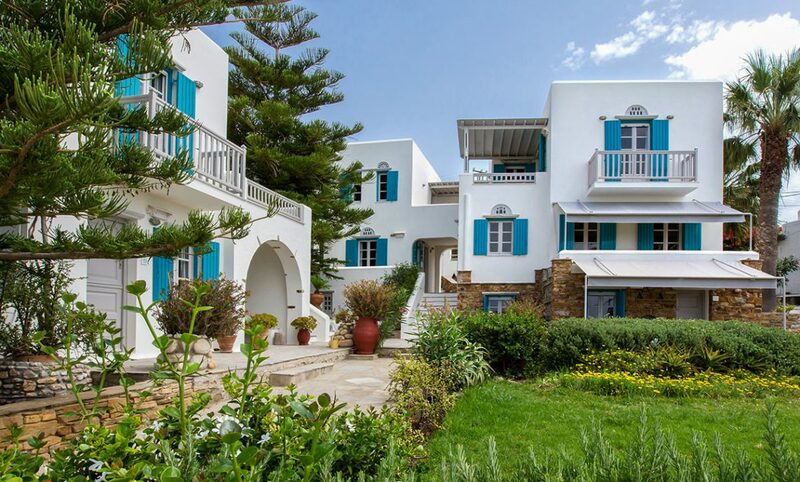 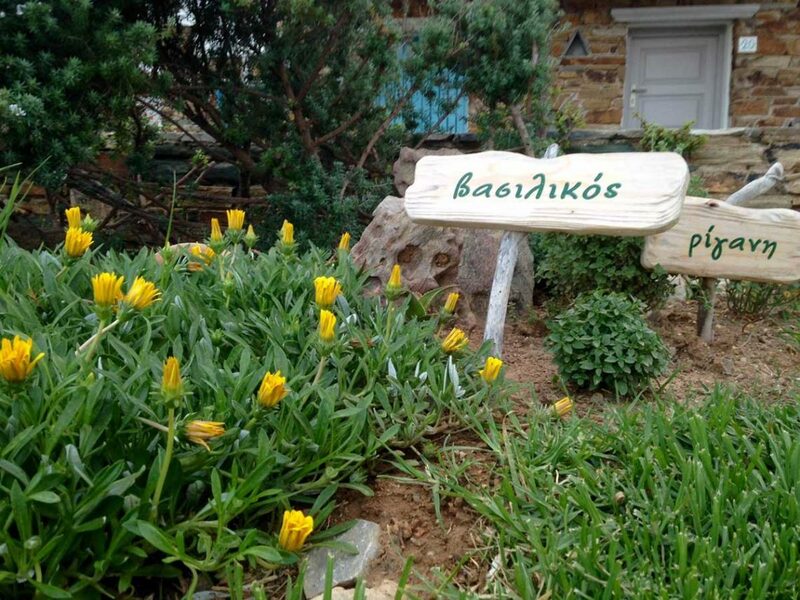 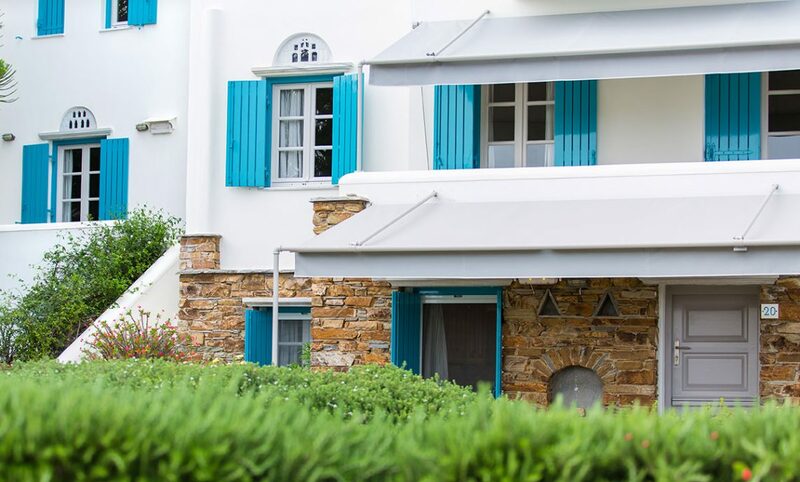 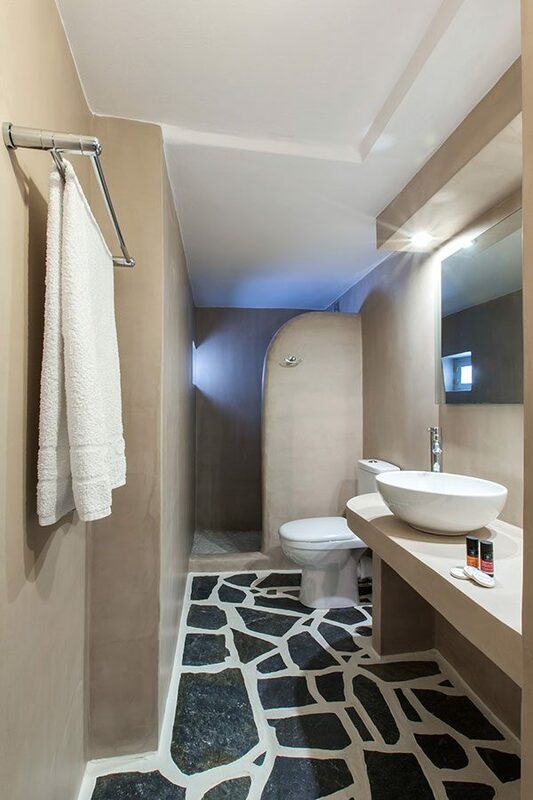 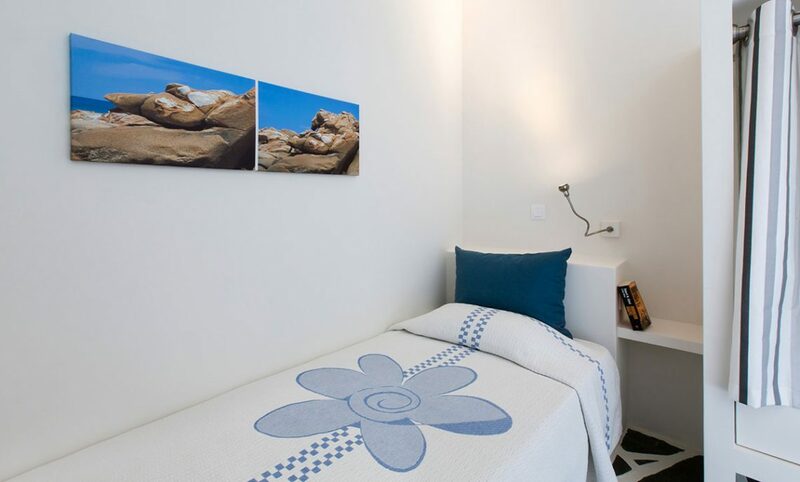 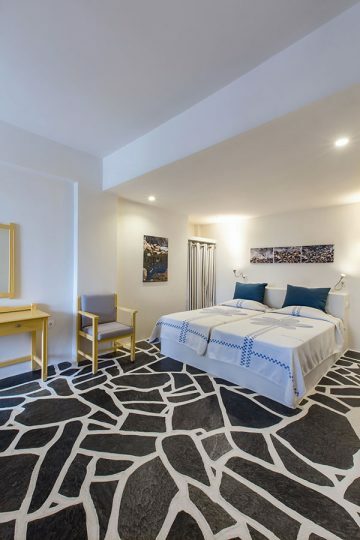 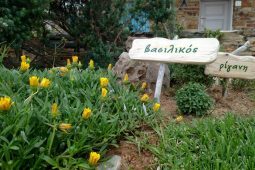 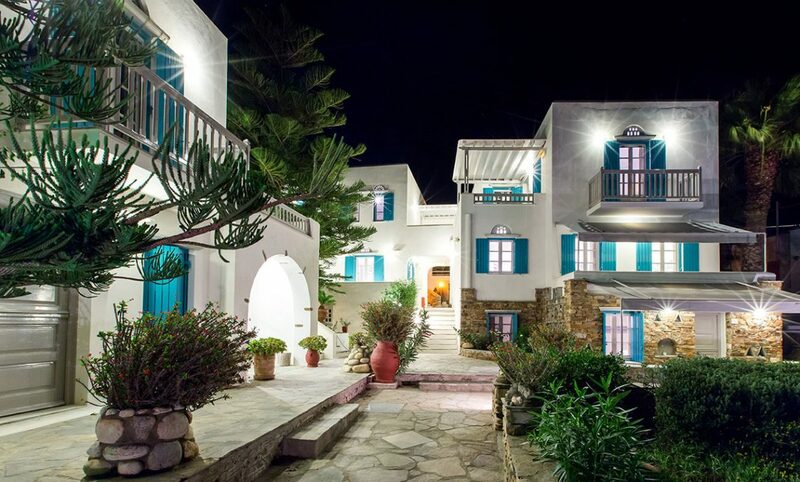 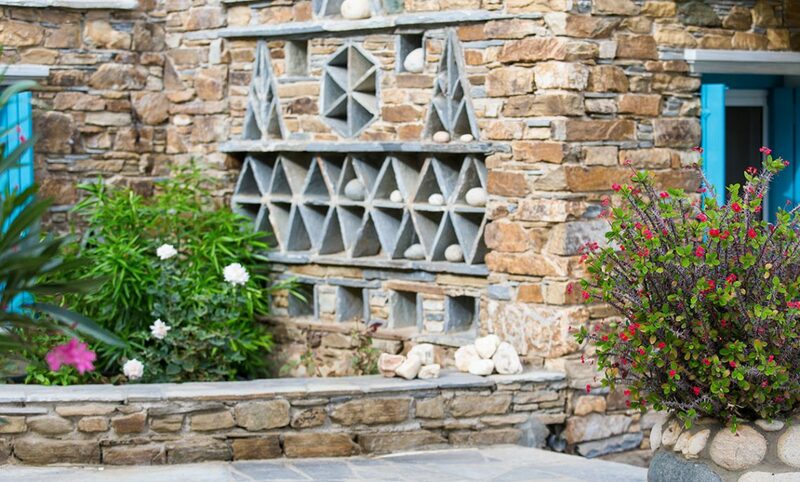 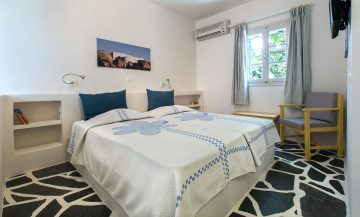 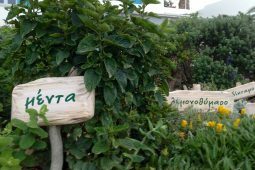 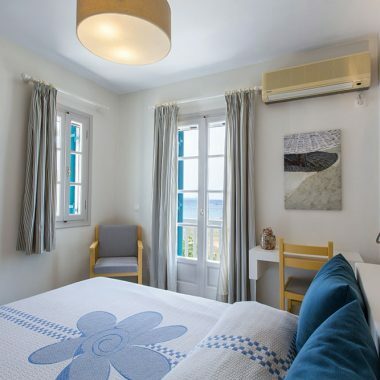 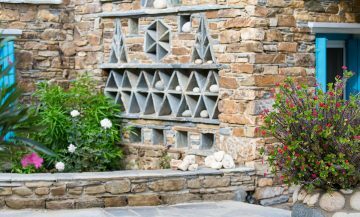 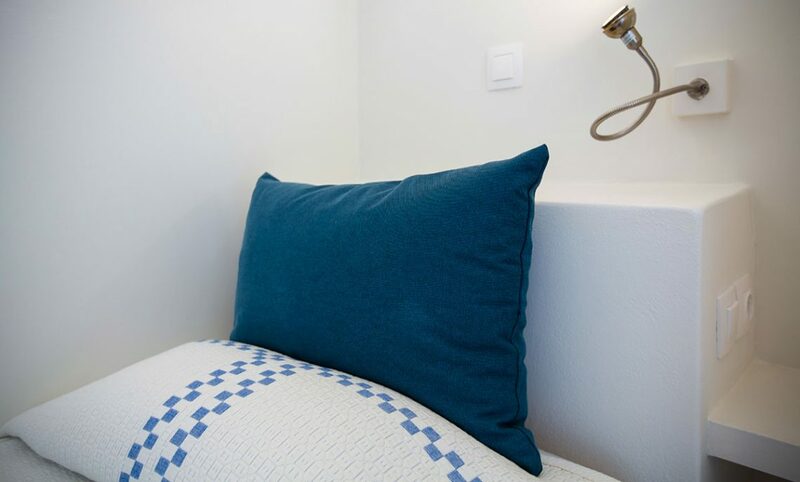 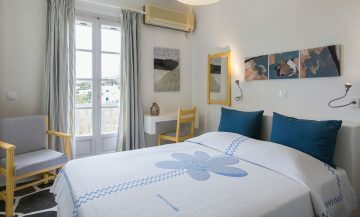 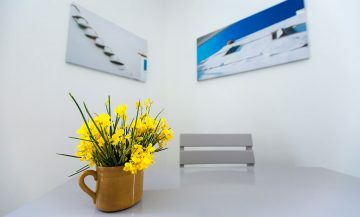 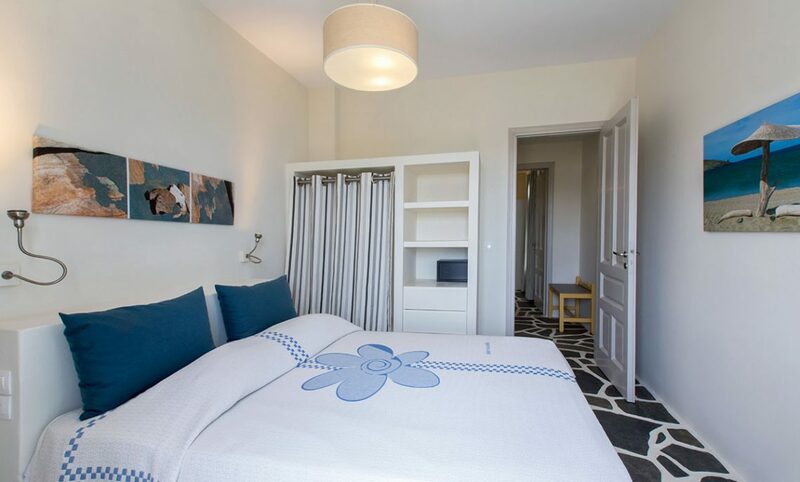 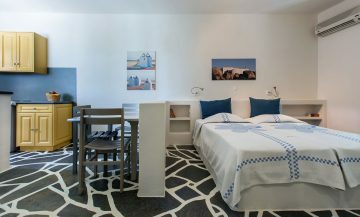 Byzantio Beach Suites & Wellness on Tinos Island is a group of elegant beachfront suites, studios & apartments at Agios Sostis (Laouti) beach, only 5km away from Tinos Town. 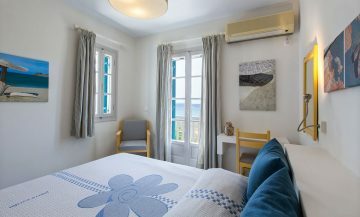 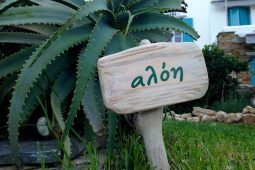 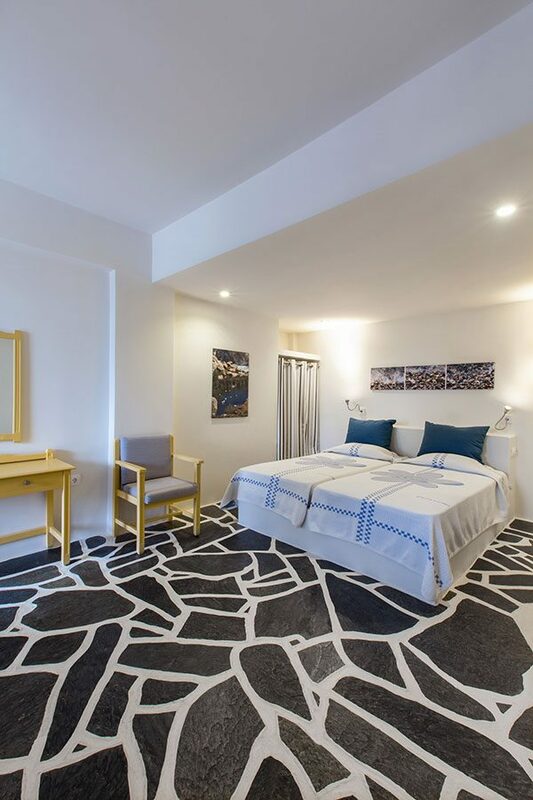 It consists of eight (8) suites, studios & apartments with breathtaking sea view, fully furnished & fully equipped, renovated in 2015, that can accommodate two to six guests. 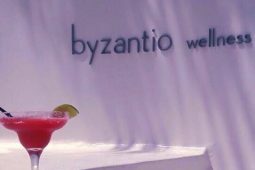 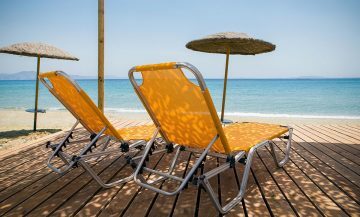 Byzantio Beach offers “Kapari Restaurant” with fine Mediterranean dishes, “Byzantio Wellness” a dazzling Jacuzzi with panoramic sea view and an organized beach with private sunbeds & umbrellas on a sandy coastline. 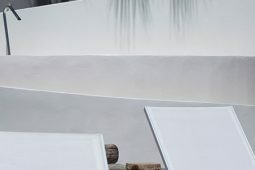 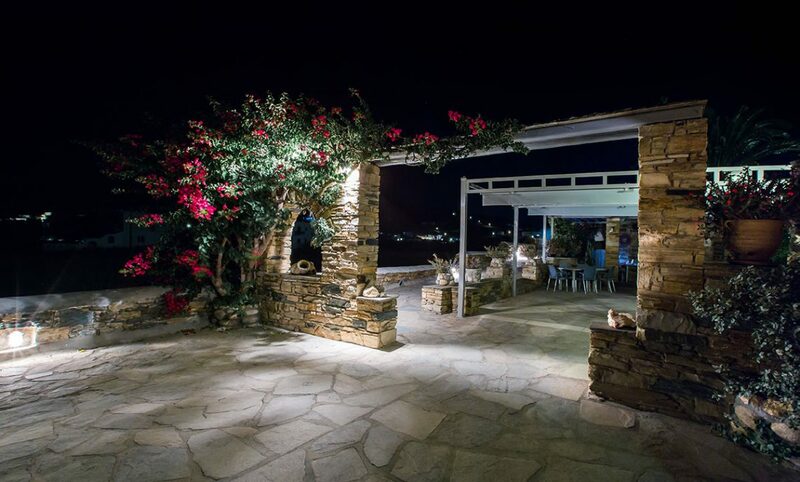 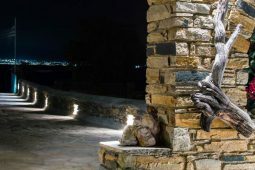 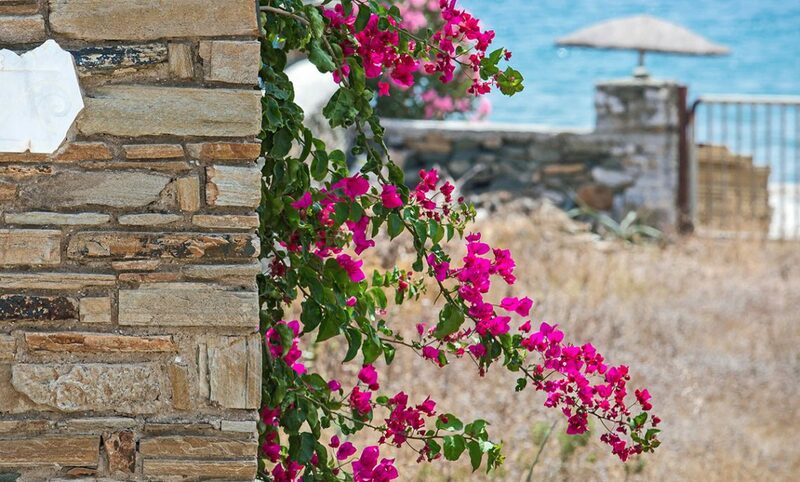 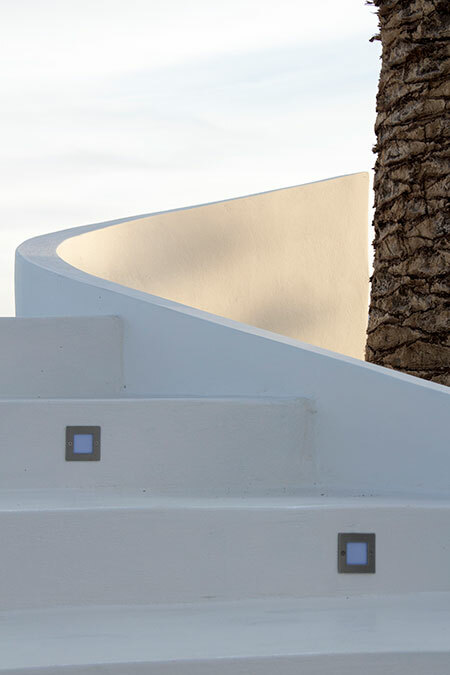 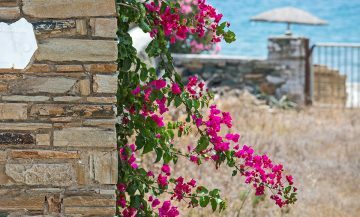 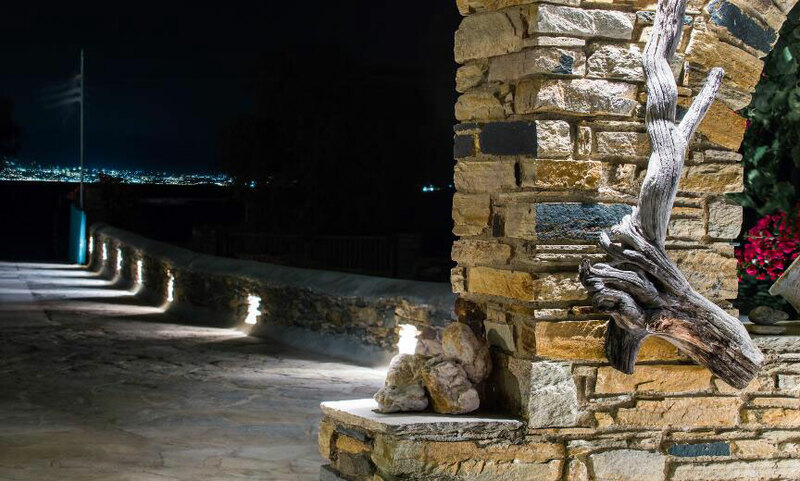 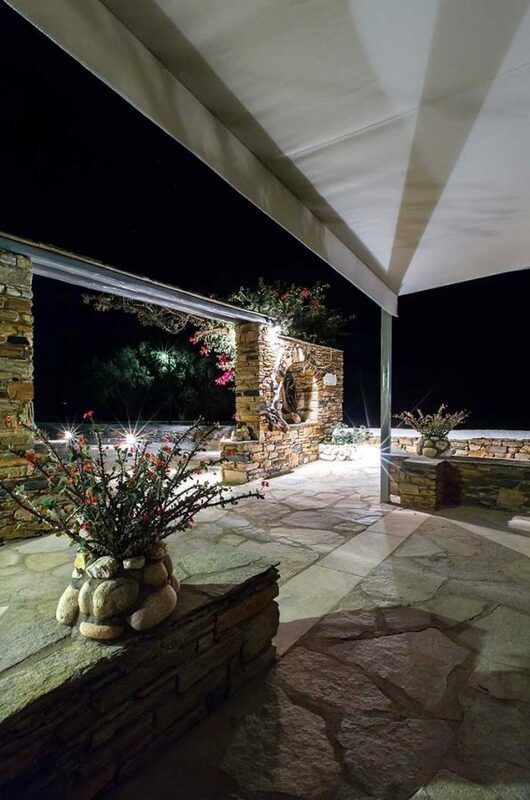 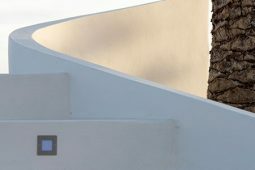 We promise a dream holiday experience in a tranquil environment while gaze the Aegean waters, the sacred island of Delos and the picturesque chapel of Agios Sostis. 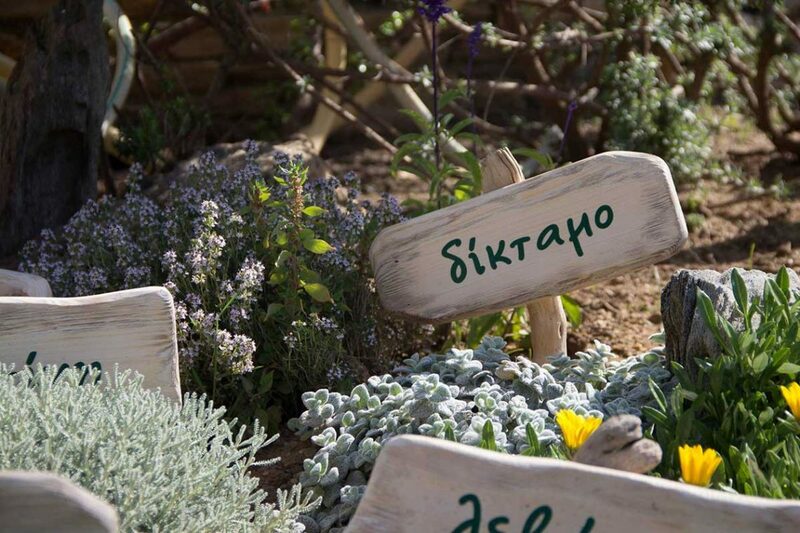 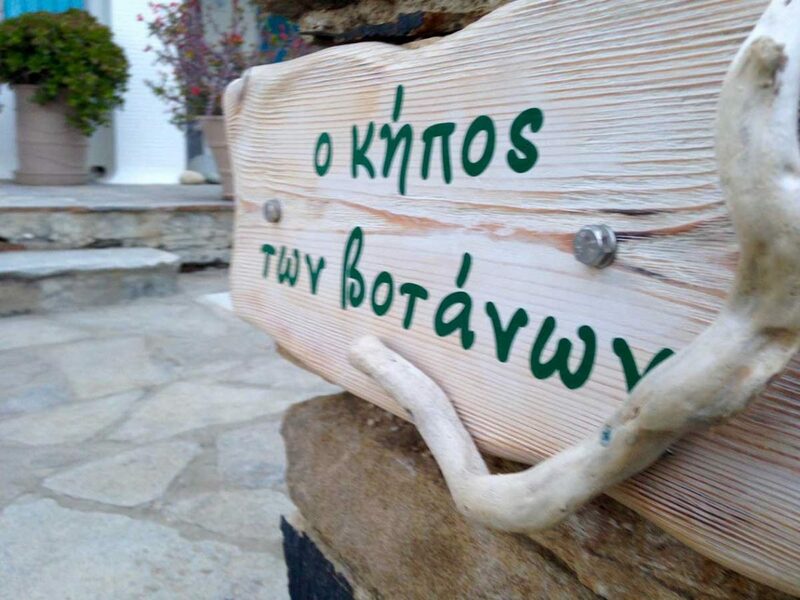 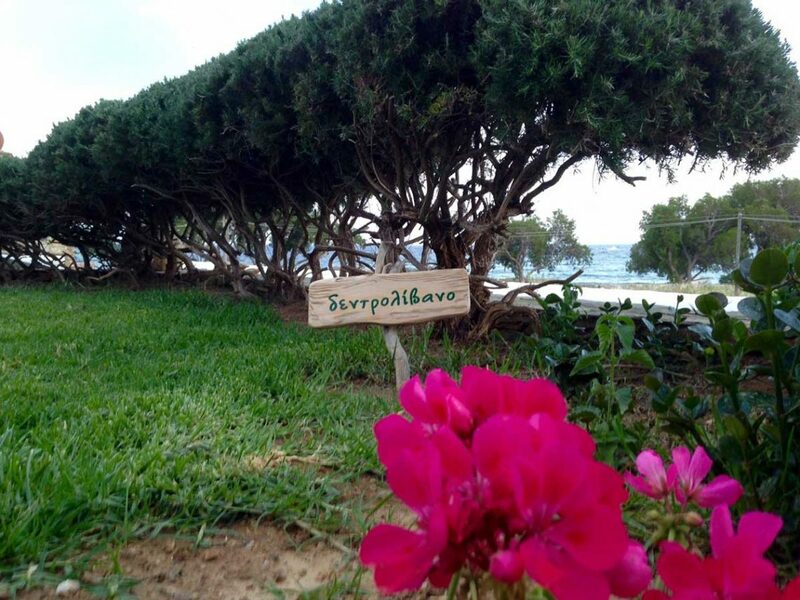 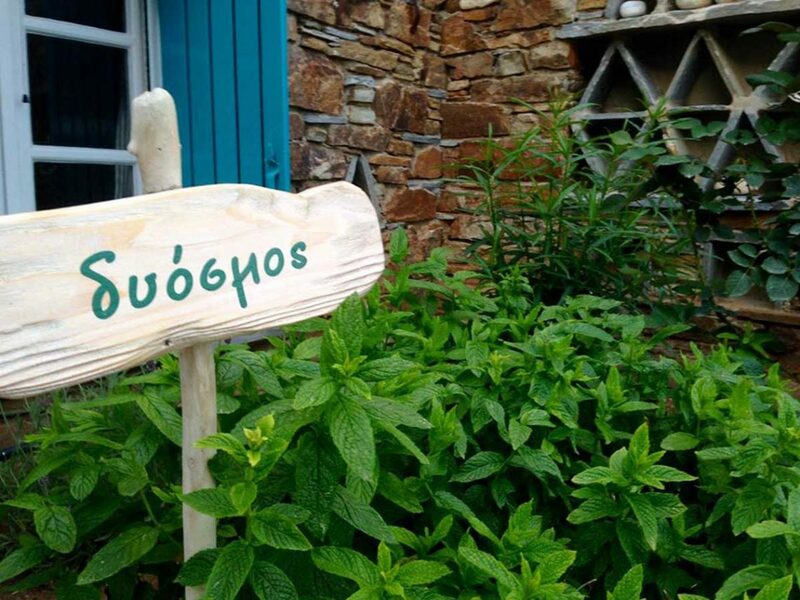 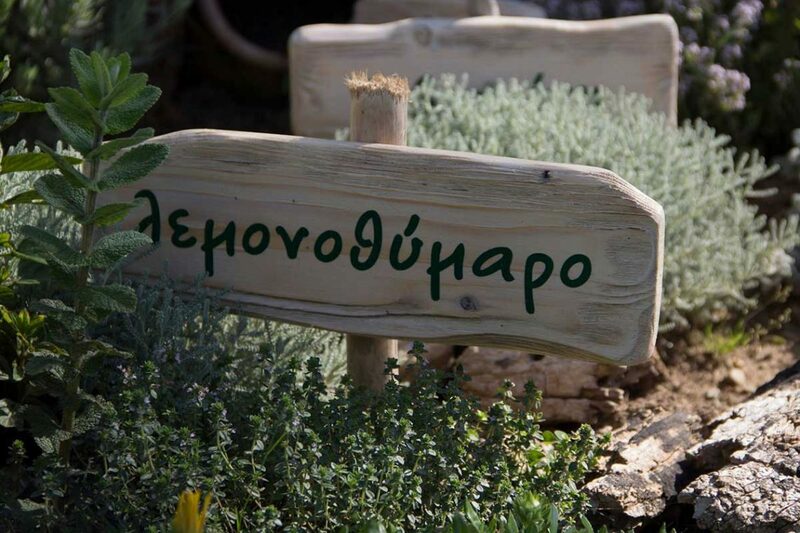 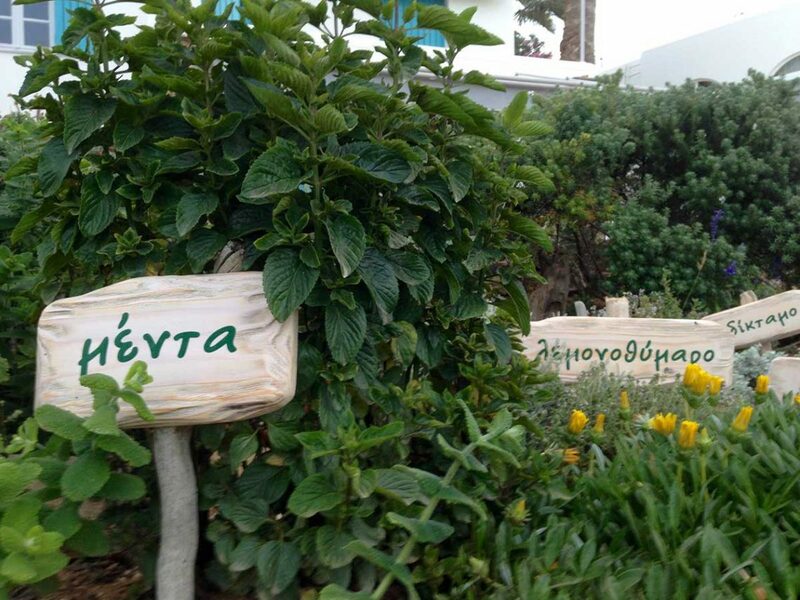 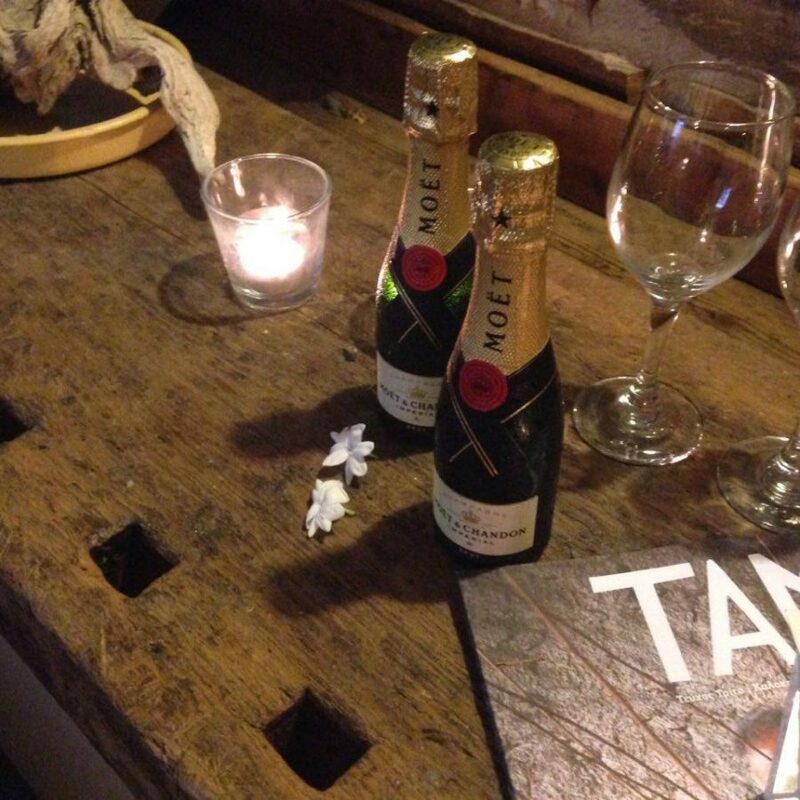 “Kapari” Restaurant is the ideal place to taste finest traditional dishes focused on local products of Tinos Island. 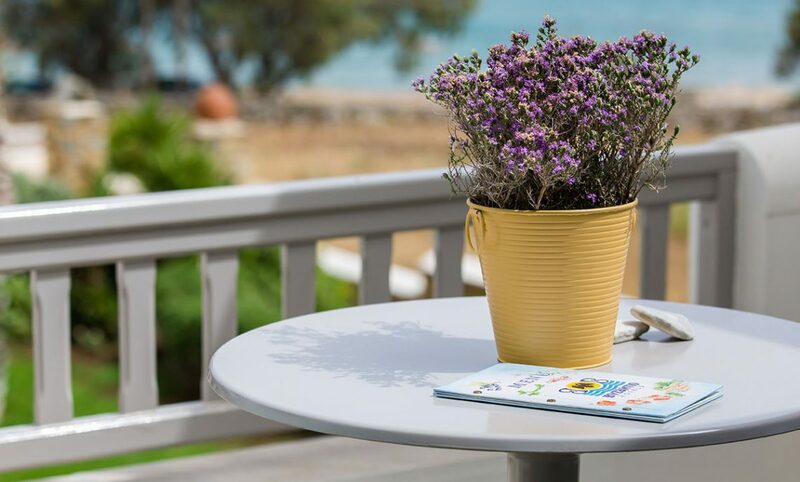 Who doesn’t want to enjoy his lunch while gaze the sea or has dinner under the moonlight? 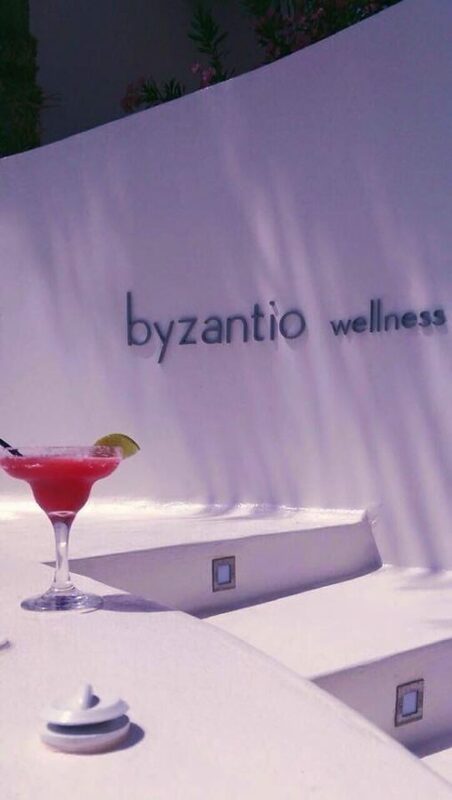 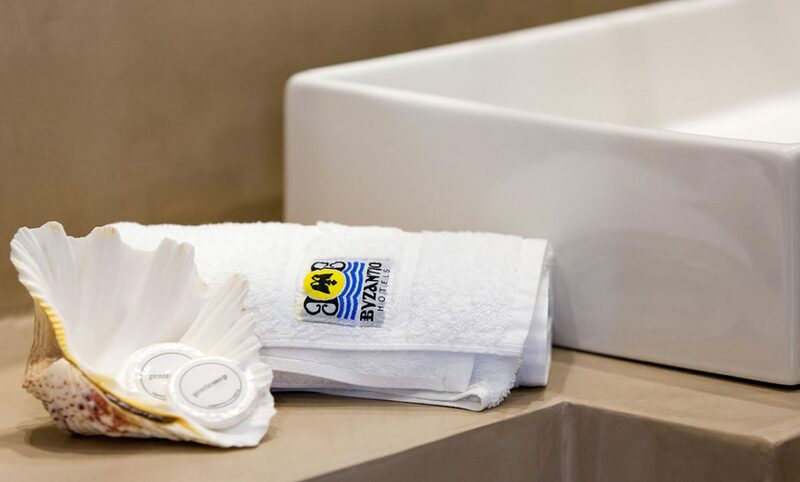 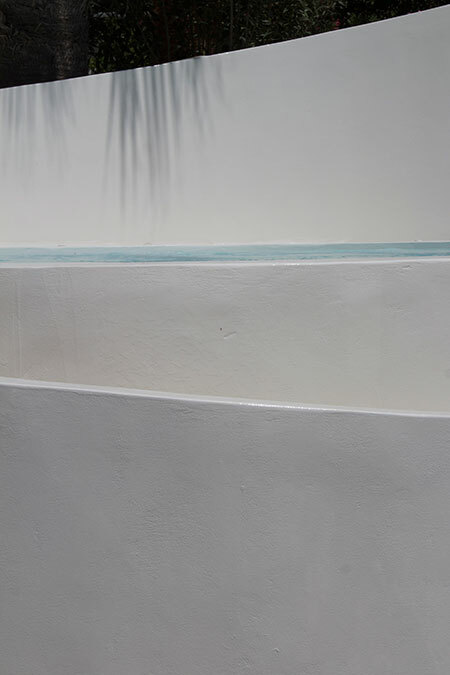 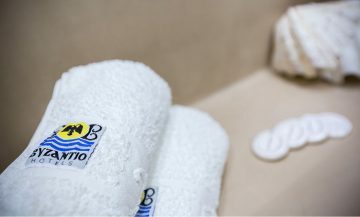 Relax and rejuvenate in our brand new Jacuzzi, Byzantio Wellness. 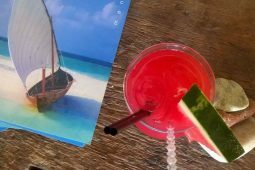 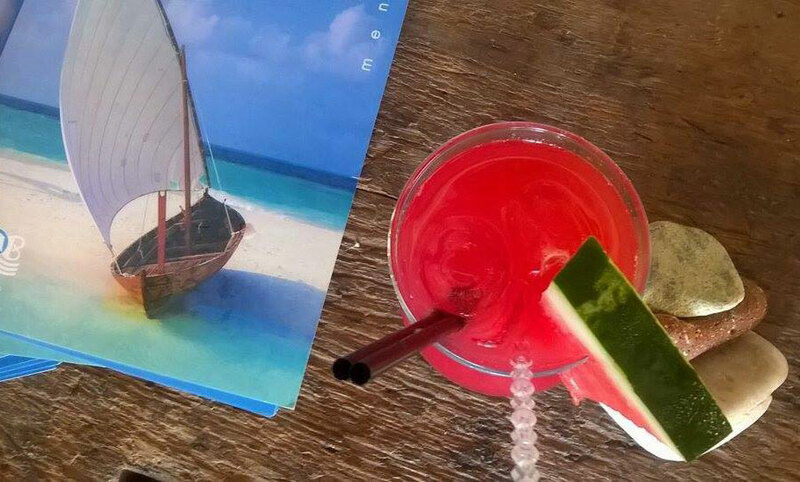 Blend the energy of wellness with a cold beverage or signature cocktail while gaze at the breathtaking Aegean waters or listen the whispering sound of waves. 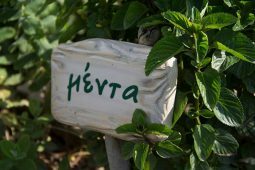 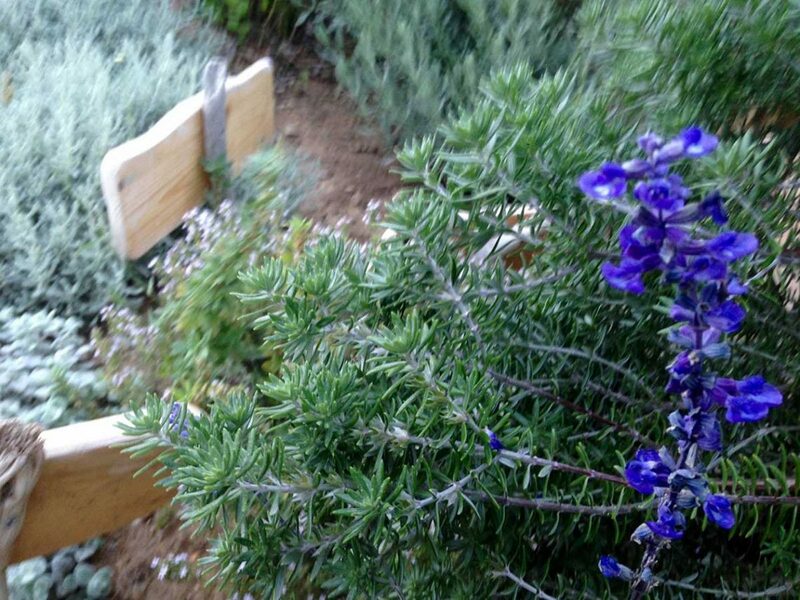 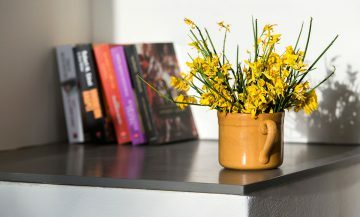 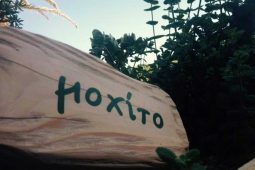 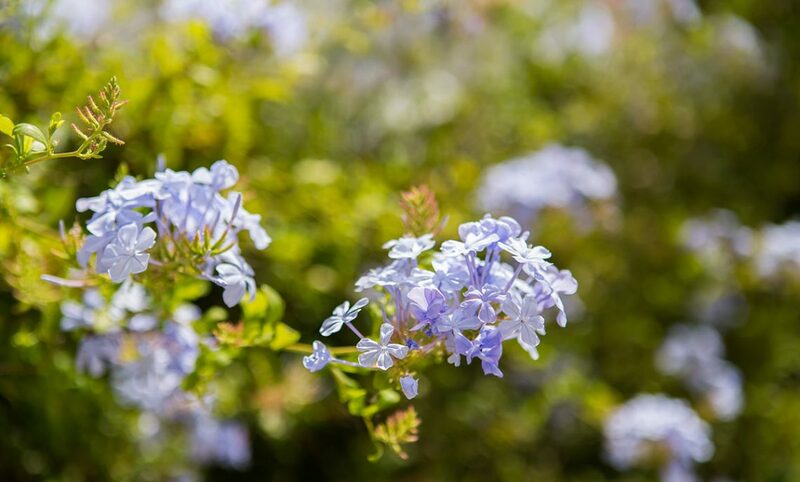 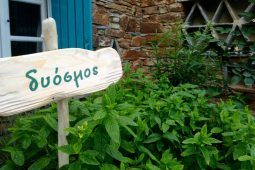 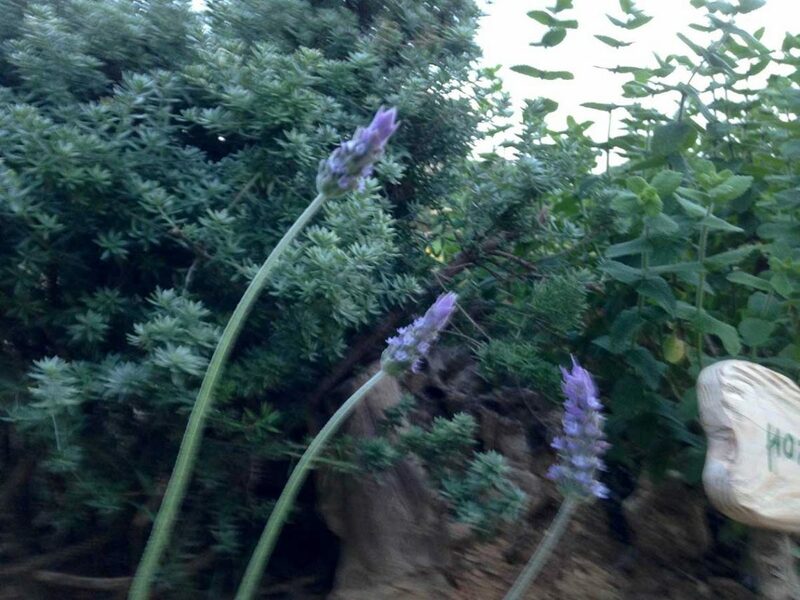 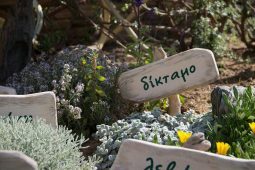 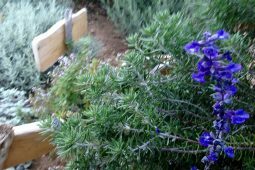 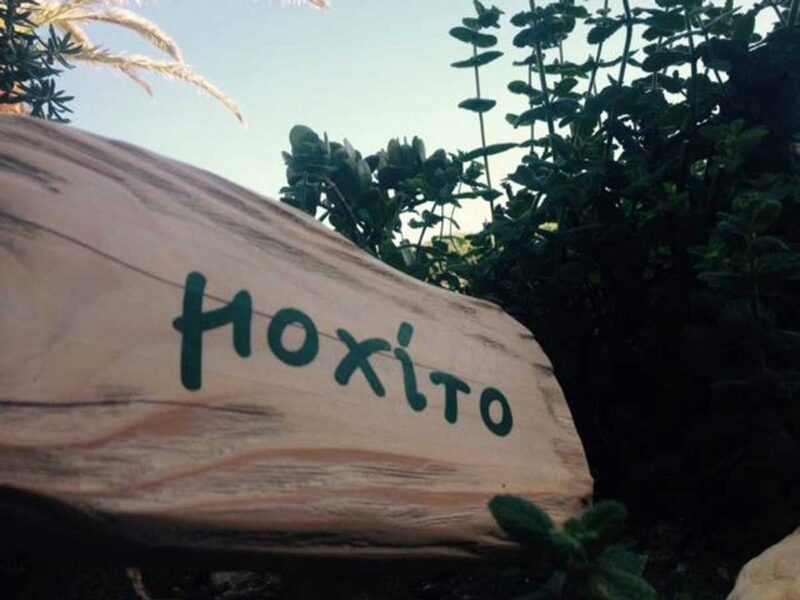 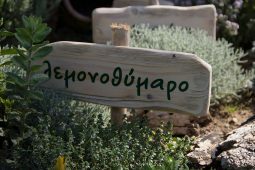 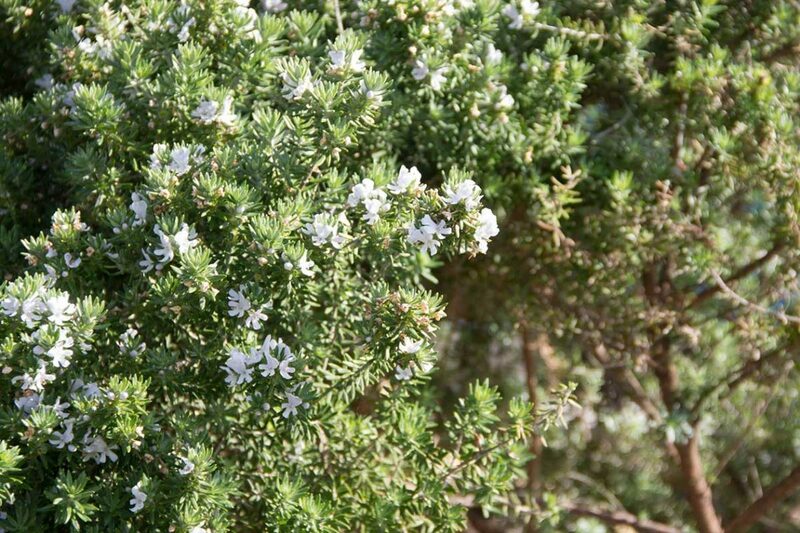 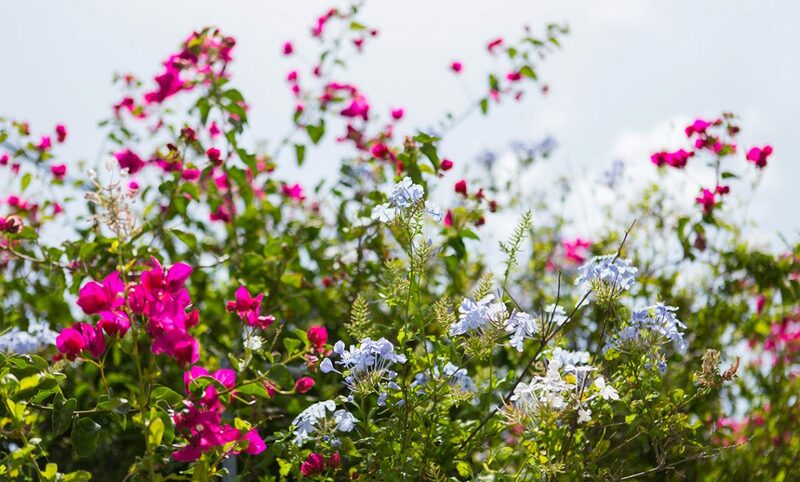 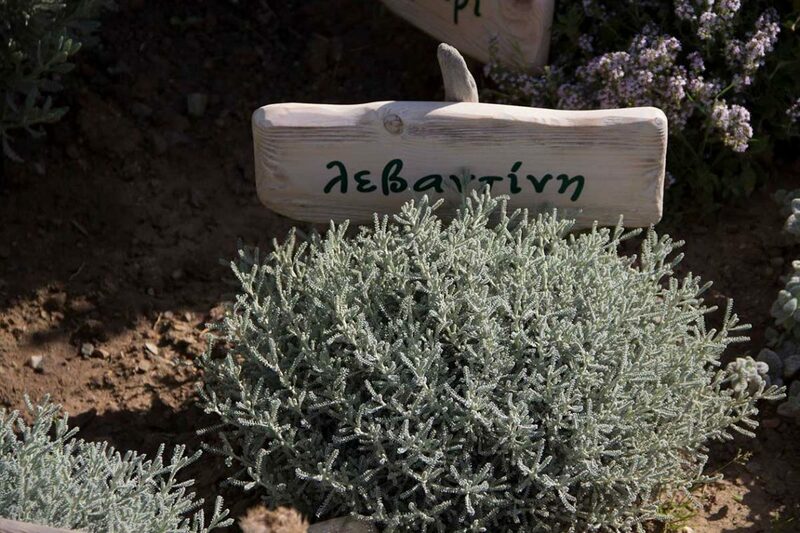 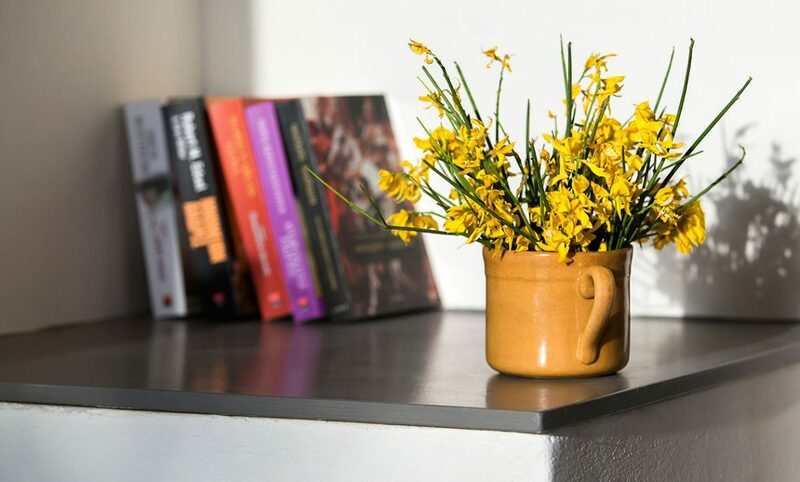 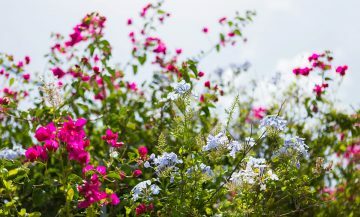 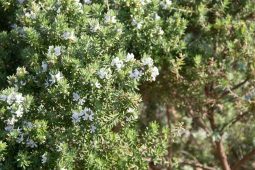 That’s why we inspired and created the “Garden of Herbs, to fill the area with their aroma, to taste them in our homemade dishes, to serve them in your drinks! 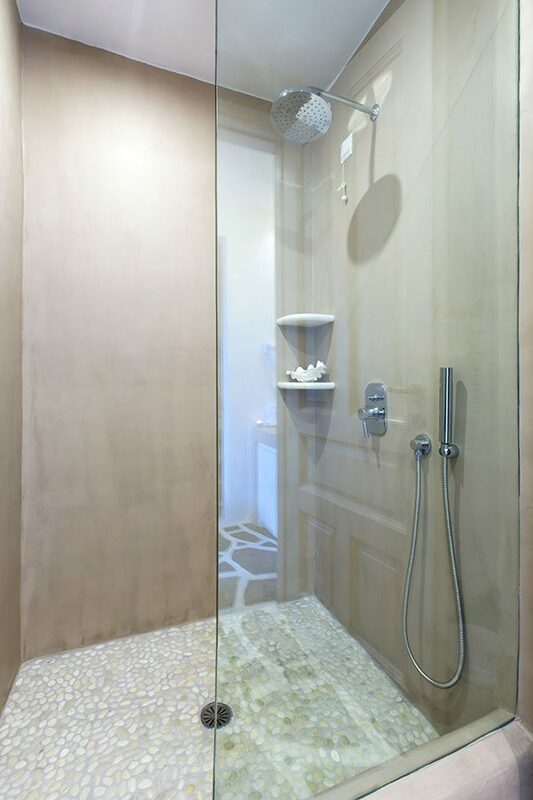 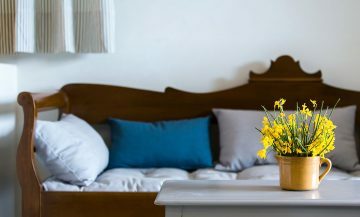 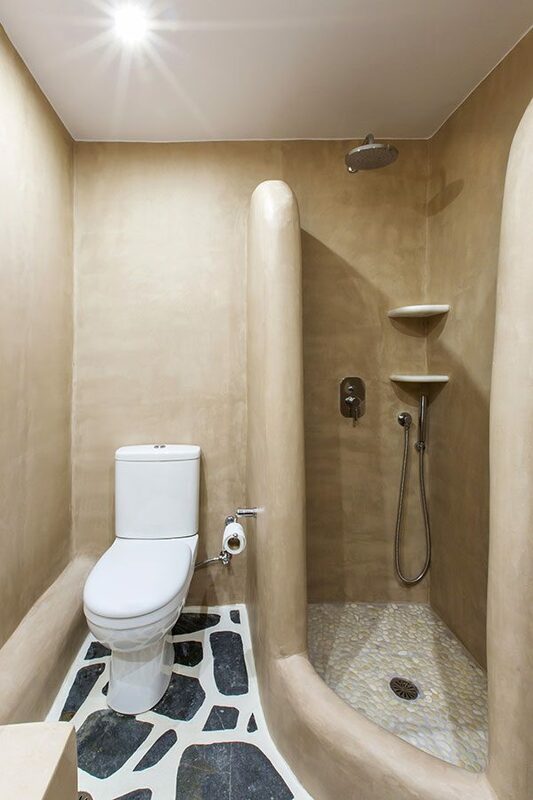 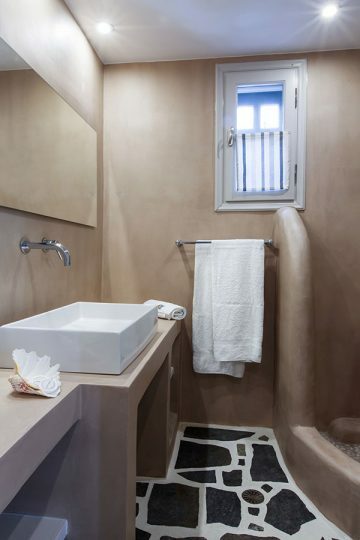 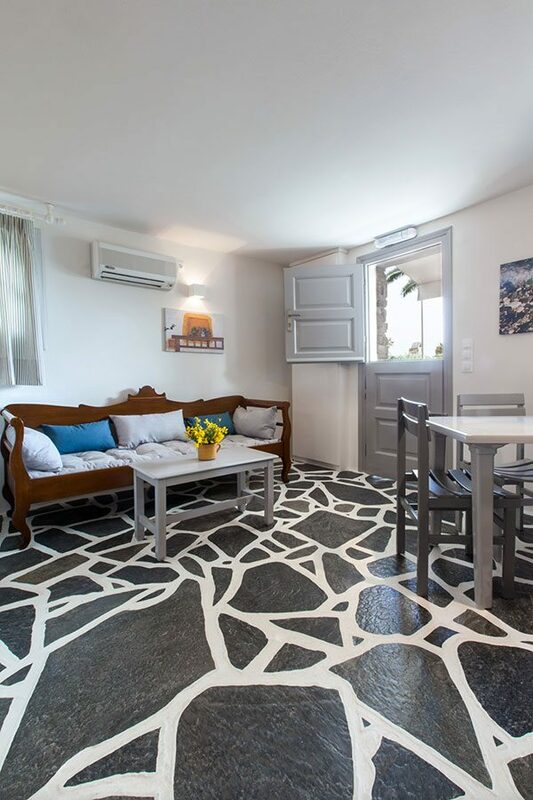 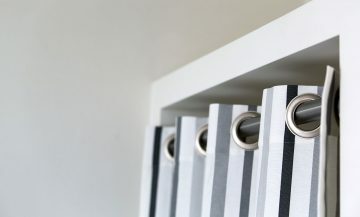 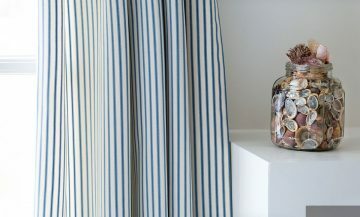 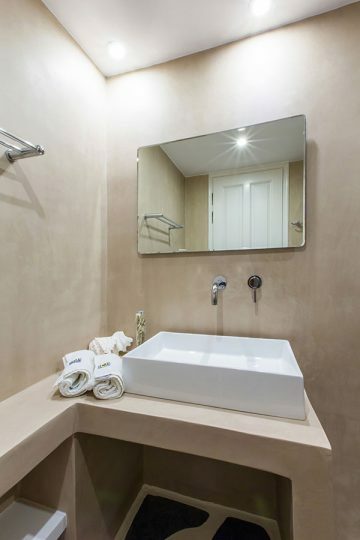 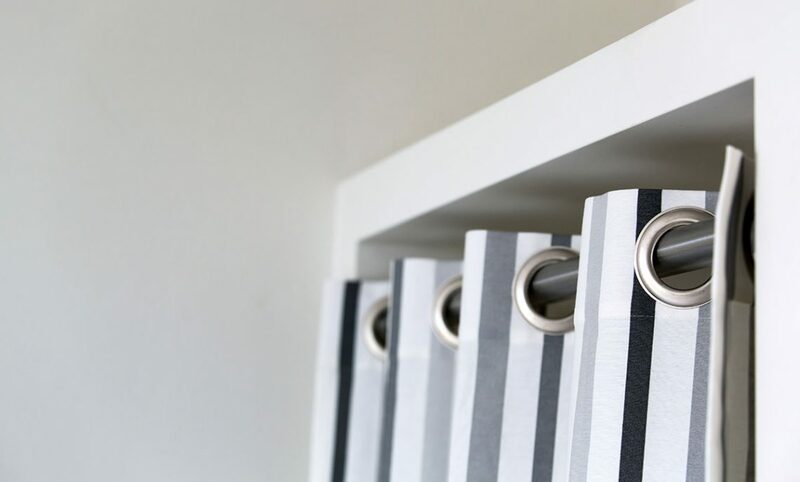 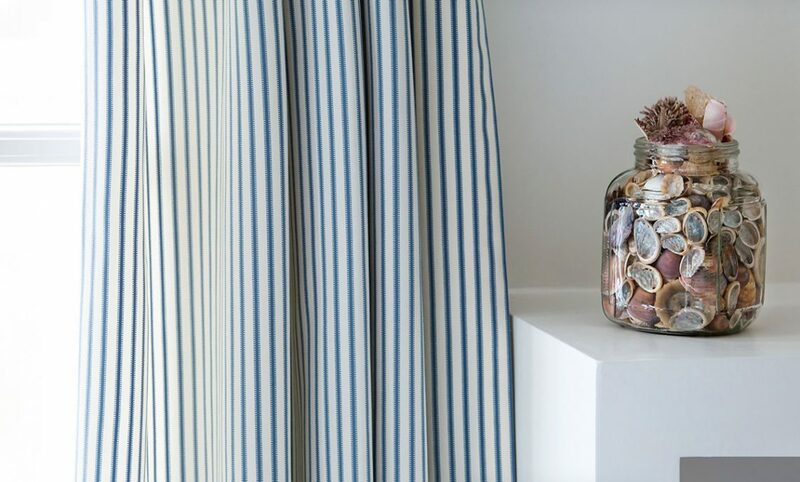 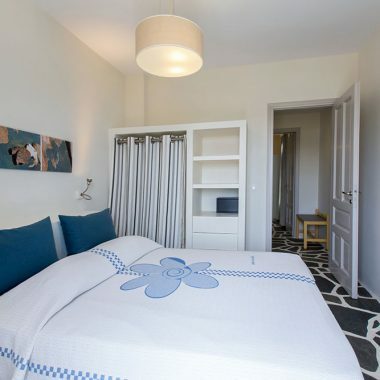 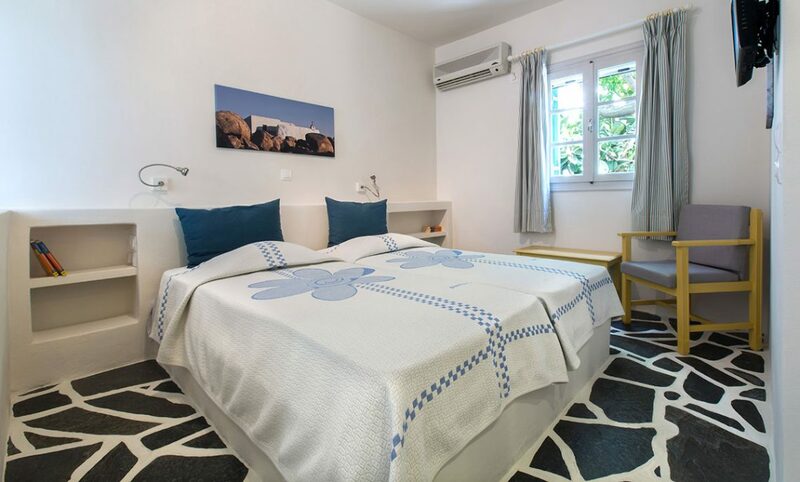 Byzantio Beach apartments are a hidden gem. 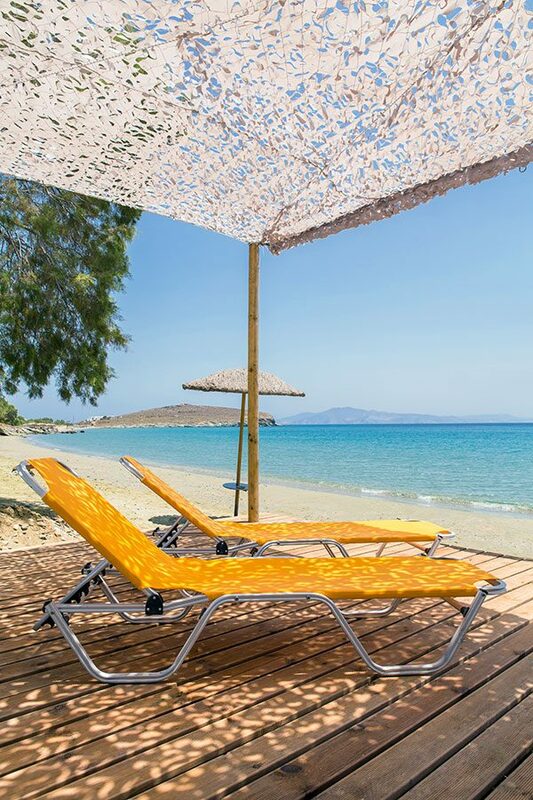 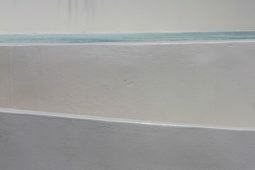 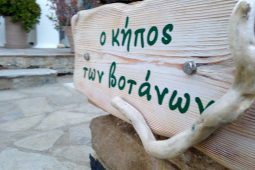 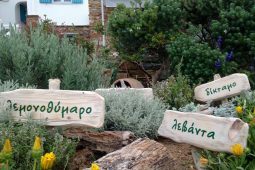 Away from the hustle and bustle of Tinos town, they offer peace, a wonderful sandy beach, good food and privacy. 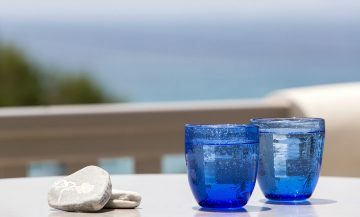 The bar service on the beach is very much appreciated after a long swim. 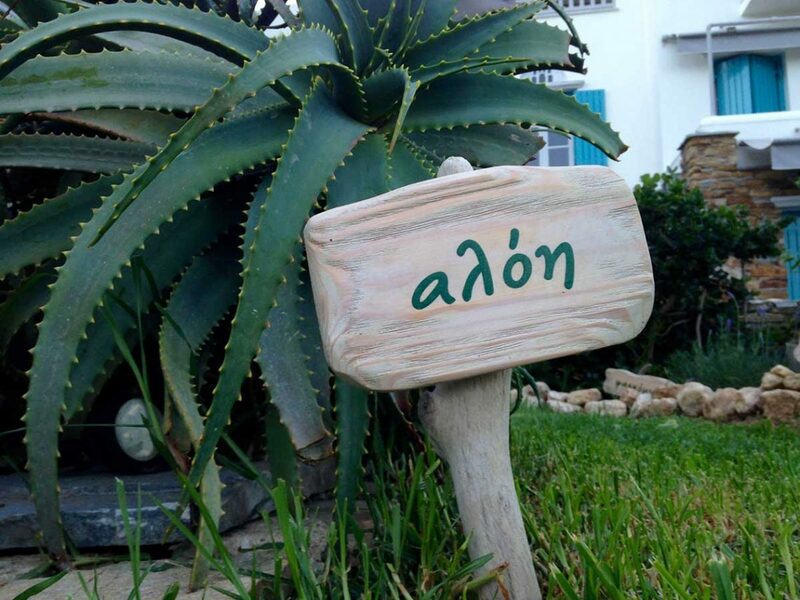 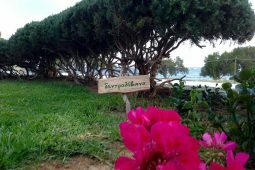 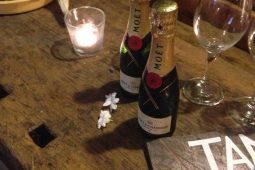 The family and staff who run the hotel are charming and nothing is too much trouble for them. 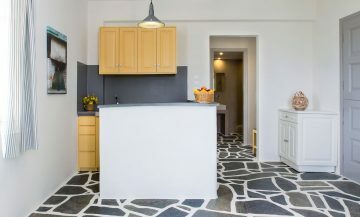 The apartments are spotlessly clean and very well provisioned (although a corkscrew would be appreciated!). We can't wait to return!